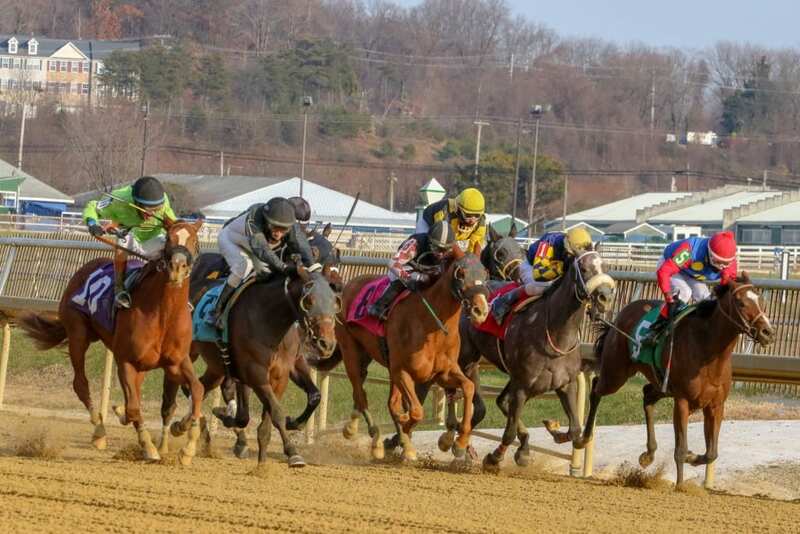 Maryland Juvenile Championship day at Laurel Park brought together some of the top Maryland-bred two-year-olds to scrap in a pair of $100,000 stakes, the Juvenile Futurity for open company and the Juvenile Filly Championship for the girls. Both were contested at seven furlongs. On top of those were the $75,000 Howard and Sondra Bender Memorial Stakes for older runners. That one was contested at six furlongs. On a main track rated fast — and that played like a speedway — two-year-old Alwaysmining may well have been the fastest of all on the day. The son of Stay Thirsty slurped up his first stakes victory and second straight win overall. 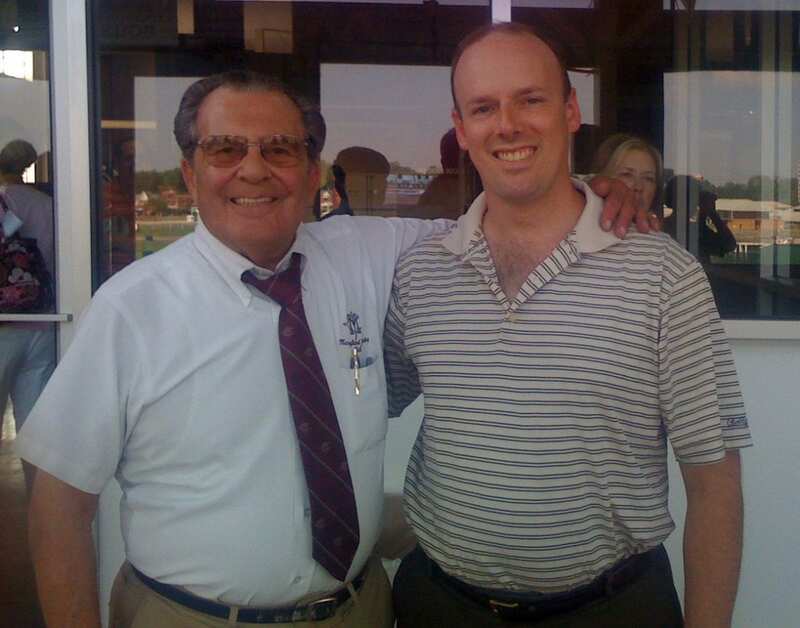 With Daniel Centeno — who made the trip up from his winter base of Tampa Bay Downs for the day — in the irons, Alwaysmining sped to the early lead, carved out solid but sensible fractions, and was always in control en route to a 2 1/2-length win. Alwaysmining stopped the timer in a sharp 1:21.91 for seven furlongs. That’s less than one second off the track record, set by then-five-year-old Greenspring when he won the 2010 edition of the Grade 2 General George. Alwaysmining is owned by Runnymede Racing LLC, which acquired him privately after he broke his maiden in June. He is trained by Kelly Rubley. He was bred in Maryland by Avla Pitts. Alwaysmining paid $8.80 to win and topped an exacta worth $18.80 for a buck. He was followed home by Our Braintrust, making his first start since winning the Tremont in June, and the favorite Scrap Copper. Money Fromheaven (far outside) won the Maryland Juvenile Filly Championship. Photo by Dottie Miller. It took Money Fromheaven seven tries to break her maiden. 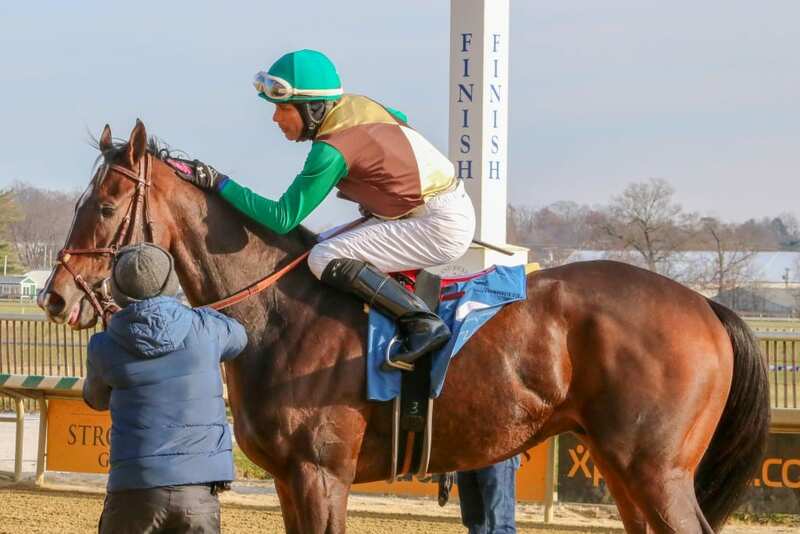 It took her only one after that to earn black type, which she did with a stirring late rally to win the Maryland Juvenile Filly Championship by a neck. Under jockey Victor Carrasco, who has ridden the two-year-old Munnings filly in all but one of her eight career starts, Money Fromheaven looked to be tapped out early as she dawdled towards the rear of the field, falling some 22 lengths off the lead after the opening half-mile had zipped by in 44.38 seconds. Meanwhile, up front, the Mike Trombetta trainee Questionoftheday was bidding to run the field off their feet. She led by seven lengths after that sizzling half-mile and still held a four-length advantage after six furlongs in 1:10.61. But it was getting late for her, and the closers were closing. Another Trombetta trainee — No Mo Lady — looked to have the jump, but Money Fromheaven would not be denied, closing fast in the middle of the track to win by a neck. Money Fromheaven returned $49.80 to win and topped an exacta worth $91.80 for a buck. She was a neck ahead of No Mo Lady, who went off the 9-5 favorite, and it was another length back to Belial, the second choice, in third. Money Fromheaven now has two wins from eight starts and earnings of more than $120,000. She is trained by Hamilton Smith for Charles Felton’s Make Family First Stable LLC, for whom it was the first-ever stakes win. The daughter of Munnings was bred in Maryland by Timothy J. Rooney. Laki defeated Rockinn on Bye (#2) and Lewisfield to win the Howard and Sondra Bender Memorial. Photo by Dottie Miller. Hillside Equestrian Meadows’ Laki, racing for the first time since his runner-up effort in the Frank J. De Francis Memorial Dash (G3) Sept. 22, put away 4-5 favorite Lewisfield in mid-stretch and had enough left to turn back Rockinn On Bye by a half-length to win the $75,000 Howard and Sondra Bender Memorial. It was the third career stakes win and second in three starts for the 5-year-old gelding Laki ($6.20), whose final time of 1:07.99 nearly broke Laurel’s track record of 1:07.95 for six furlongs set by multiple graded-stakes winning millionaire Richter Scale July 15, 2000. Fellow multiple stakes winner Lewisfield outran Laki for the early lead and was in front through a quarter-mile in 22.04 seconds. Laki settled in second but was eager to challenge and moved up alongside Lewisfield after a half in 44.60, and the two rivals turned for home together. Laki gradually edged by Lewisfield down the stretch and was in command past the eighth pole but held off late-running Rockinn On Bye for his seventh win in 10 career starts over his home track. Rockinn On Bye was a length ahead of Lewisfield in third, followed by Clubman, Sonny Inspired and Greatbullsoffire. 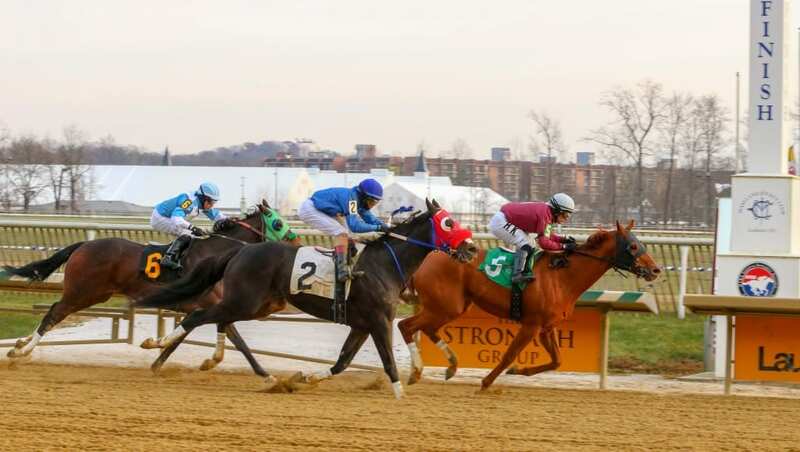 Trainer Damon Dilodovico said he would consider both the $100,000 Dave’s Friend Stakes for 3-year-olds and up at six furlongs and the $75,000 Jennings Stakes for Maryland-bred/sired horses 3 and up at one mile Dec. 29 for Laki, with the long-term goal being the seven-furlong, $250,000 General George (G3) Feb. 16.